The capital of Portugal and one of the world's great cities, not so much for size, but old, honourable and full of architectural and cultural delights. It's also had its dark chapters in history, though very little is made of this in terms of dark tourism. Still, a great place to visit. More background info: Lisbon is the grand old capital city of Portugal and as such once the nerve centre of an empire spanning as far as India (Goa), South East Asia (e.g. East Timor), Africa and South America (Brazil). The legacy of the great Portuguese seafaring explorers is still revered to this day. The same cannot be said, however, for the darker sides of Portuguese colonial history, let alone for the long dark period of the Salazar dictatorship in the 20th century. But one earlier catastrophic event, however, still very much shapes the city's psyche: the great earthquake of 1755, which levelled large parts of the city and claimed tens of thousands of lives. That death toll was not just due to the destruction caused by collapsing buildings and fires that soon broke out, but also to a massive tsunami triggered by the quake (the epicentre is believed to have been some way out in the Atlantic) which washed over the coastline, where many people had sought refuge. 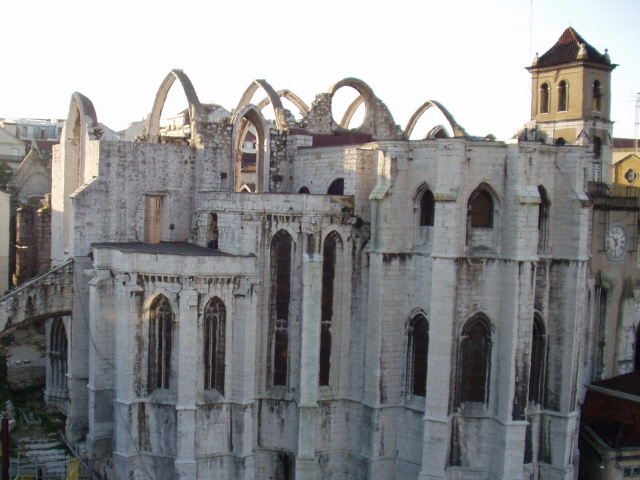 The city had suffered severe earthquakes before, but this was a disastrous event that shocked the rest of Europe. It still stands as one of the historically most significant such disasters in human history. 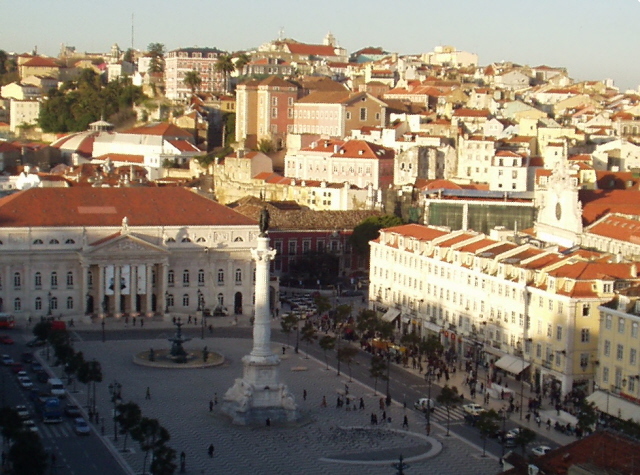 The rebuilding of the city created the entirely new district of Baixa, with its right-angled street grid pattern and representative monumental buildings on the waterfront. 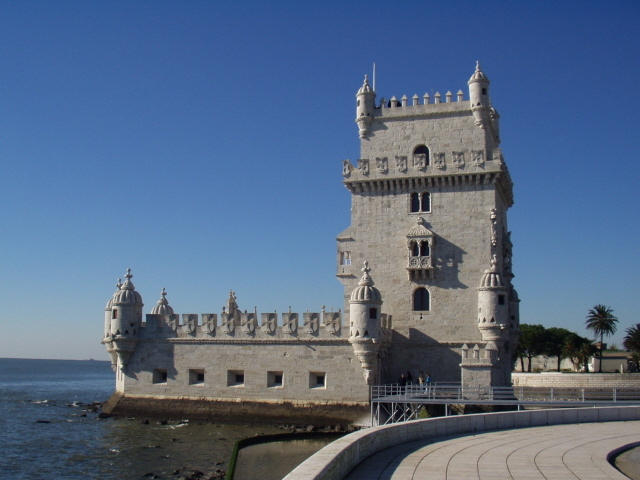 Lisbon, as the country's capital, was also the seat of the right-wing dictatorship regime that ruled the country for over 40 years. But it was also the place where this era was ended in the so-called Carnation Revolution of 1974. This was rather a peaceful left-leaning military coup that had widespread popular support and went comparatively smoothly. The only casualties of the revolution were four protesters shot dead outside the headquarters of the then secret police of the regime, the infamous PIDE (short for Polícia Internacional e de Defesa do Estado" – 'International and State Defence Police'). Although ruled by a semi-fascist dictatorship at the time, Portugal kept out of things during WWII, choosing neutrality over the usual wah-hoo lust for war that fascists are normally rather associated with. This also meant that Lisbon remained one of the few open ports for people fleeing esp. from Nazi Germany and emigrating across the Atlantic. 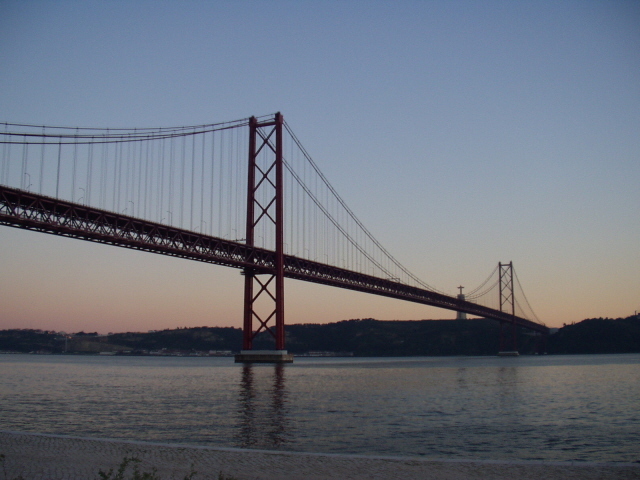 A major event for the city in more recent years was the EXPO 1998 held in Lisbon, for which a whole new complex of ultra-modern architecture was built some way upriver on the banks of the Tejo river. 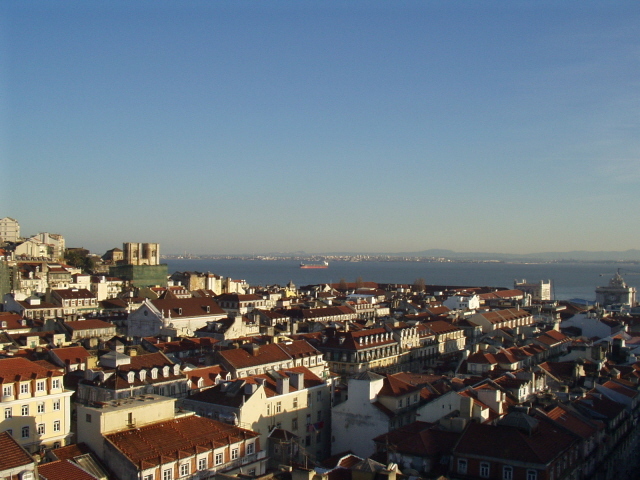 All in all, modern Lisbon is not as big a metropolis as some other European capitals, with a bit over half a million inhabitants within the city area proper, and around three million in the whole metropolitan region. Some of the central districts are quite quaint and small, and characterized by narrow passages, unsuitable for vehicles, especially in the exotically atmospheric Alfama district. 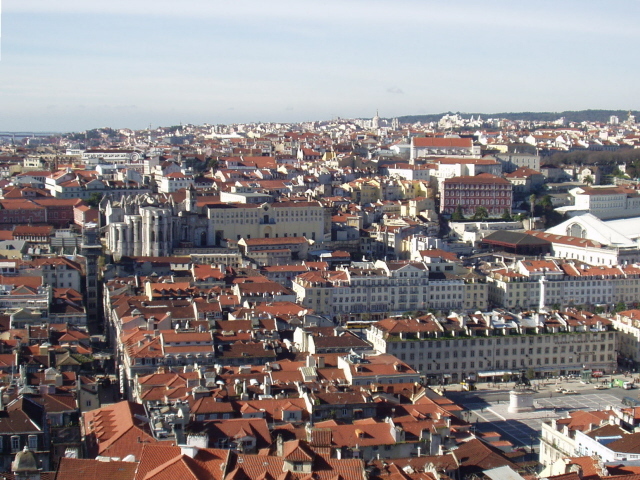 The densely built-up nature of the Chiado district on the edge of the Bairro Alto, on the other hand, certainly exacerbated the destruction caused by the fires of 1988, which killed two firemen and made hundreds of people homeless. 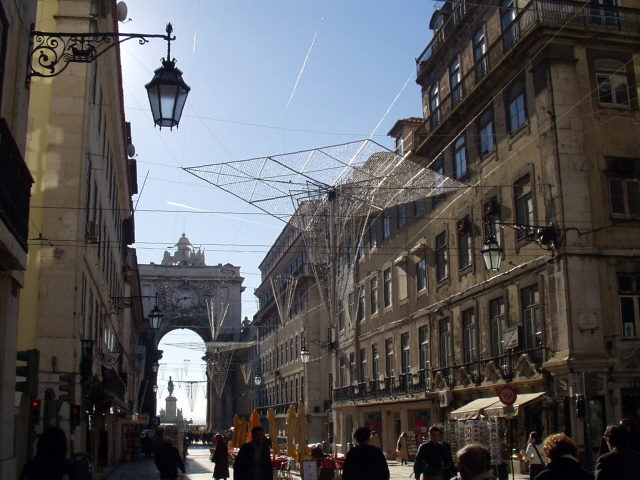 The Chiado fires are often regarded as Lisbon's worst disaster since the great earthquake of 1755. And again, some of the reconstruction afterwards has met with some controversy, including from a commemoration and dark tourism perspective (see below). Some good chances for adding something dark to Lisbon's tourism portfolio have simply been missed, especially with regard to the former HQ of the PIDE secret service of the Salazar regime, which used to be in Rua Antonio Maria Cardoso in the Bairro Alto/Chiado district. Old-timers can recall hearing the screams of those tortured in the interrogation cells in the basement of the building during those dark days. It was also here that the old guard had their last stand, as it were, during the 1974 Carnation Revolution of 25 April, when protesters surrounded the building and PIDE agents opened fire. Doing so they claimed the last few victims of the dictatorship, killing four and wounding several others. It was, however, the last such murderous event … the dictatorship could not be saved any longer. After the Carnation Revolution, the PIDE was disbanded and the building abandoned. 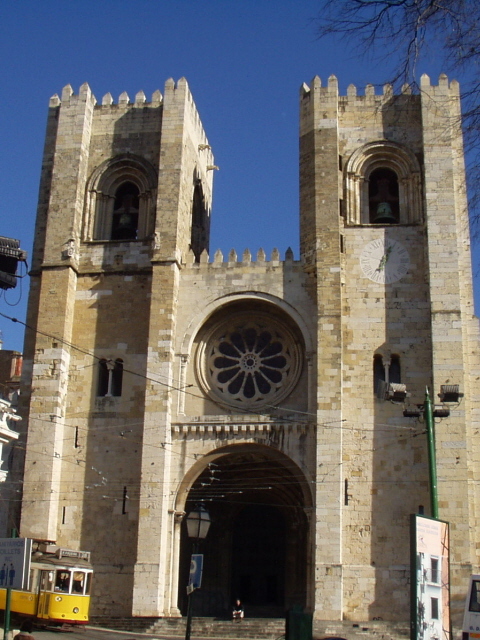 It was damaged during the Chiado fires of 1988 and stood derelict for years. Then a refurbishment and conversion plan was undertaken – but not conversion into an adequate memorial museum, as some campaigners demanded, but into upmarket flats. You can still find an old memorial plaque on the wall dedicated to the four victims shot dead on 25 April 1974 (their names are given). It was put up on the sixth anniversary of the event in 1980. A much newer bilingual metal plaque outside the northern end of the building provides some brief background info in Portuguese and English. But that's it – the building as such is not accessible to the public and contains no commodification of its historic role. A kind of secondary (maybe tertiary?) 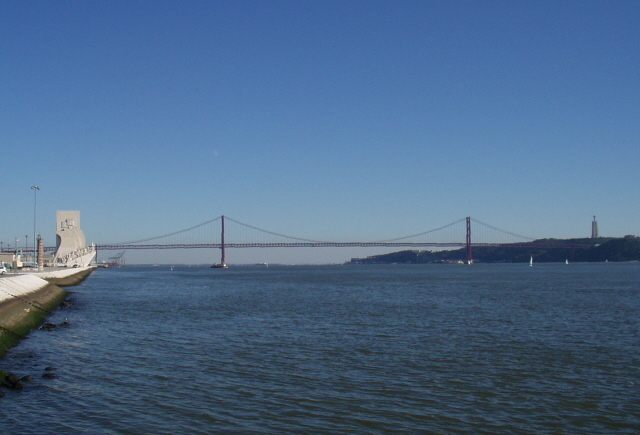 site from a dark tourism perspective, but a major landmark of modern Lisbon by any account, is the large suspension bridge across the Tejo river (it is often associated with the somewhat similar "Golden Gate Bridge" in San Francisco, USA). 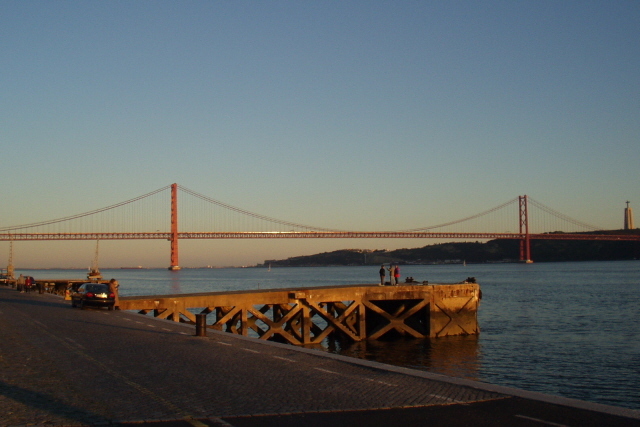 This iconic Lisbon bridge is now called the "Ponte 25 de Abril" – after the date of the Carnation Revolution that ended Portugal's 40-year dictatorship in 1974. Before the revolution, it used to be called "Ponte Salazar", after the dictator himself, under whose reign this technological marvel had been commissioned. 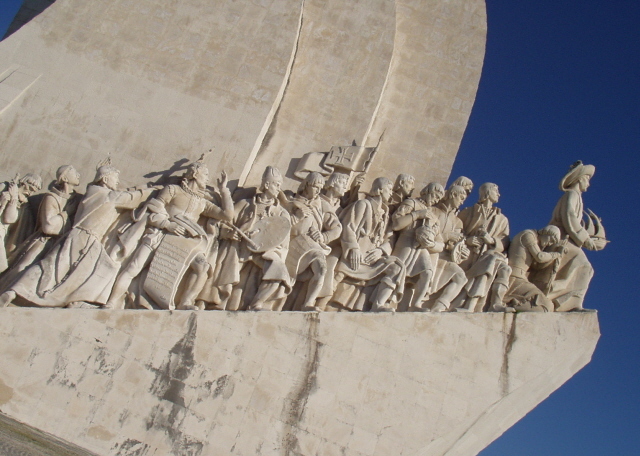 A similar such "secondary" dark site, and a well-known icon of Lisbon and Portugal at large, is the Explorers' Monument, or Padrao dos Descobrimentos, in Belem, which was inaugurated by Salazar in 1960. Its odd shape is supposed to be reminiscent of the bow of a ship. For that, however, it is a bit ungainly crowded with statues/reliefs of all sorts of kings, saints, captains and what have you. 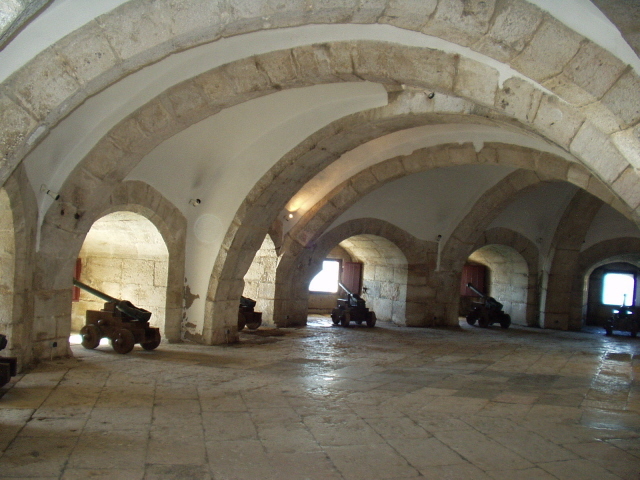 The Military Museum (Tuesday to Saturday, 10 a.m. to 5 p.m.; 3 EUR, no photography) may be of vaguely dark interest too. It features some coverage of the colonial wars in the 1960s and 70s, but mostly it's the usual celebratory display of uniforms, paintings and weapons, in particular ancient artillery and insignia. 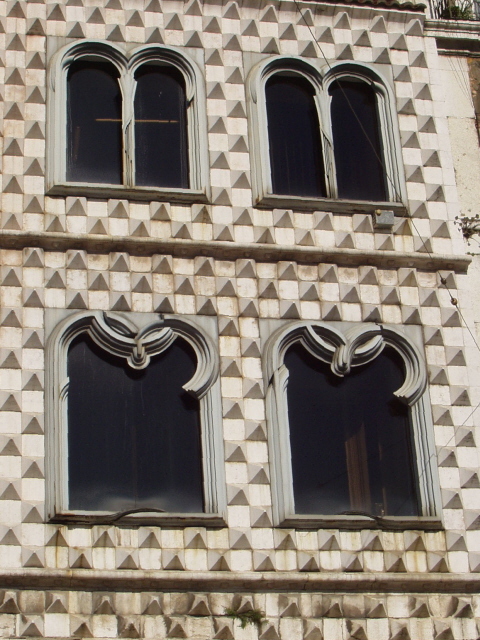 The best bit is the building itself and its truly elaborate tiles adorning large parts of the interior. Many of these depict various war scenes, of course, and there are also a few telling images of the colonies (with inherent racism more than just a vague hint). The most "modern" parts of the artefact collections are those covering World War One (Portugal stayed out of WWII). The colonial wars are otherwise rather underrepresented. So unless you are a true militaria buff (esp. with a predilection for all things mediaeval), the museum's contents are hardly all that thrilling. It's really just a rather old-fashioned, stuffy, and frankly quite boring old museum. Another serious drawback for the foreign visitor is the fact that all labels and texts are in Portuguese only, so without knowledge of the language you won't get much in the way of information/education out of this museum at all. 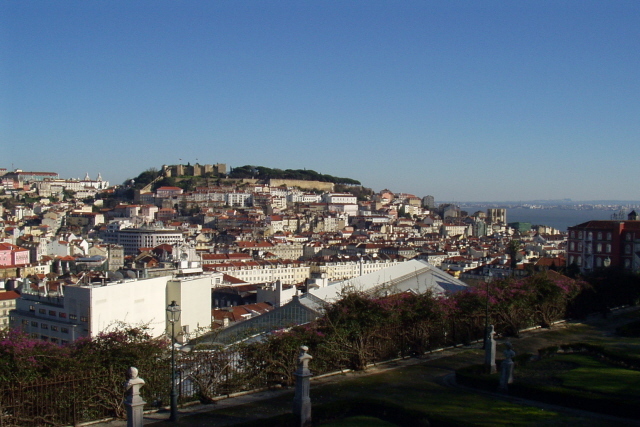 Being located near the Santa Apolonia station (the current western terminus of the blue metro line), however, it combines well with a walking exploration of the atmospheric Alfama district. 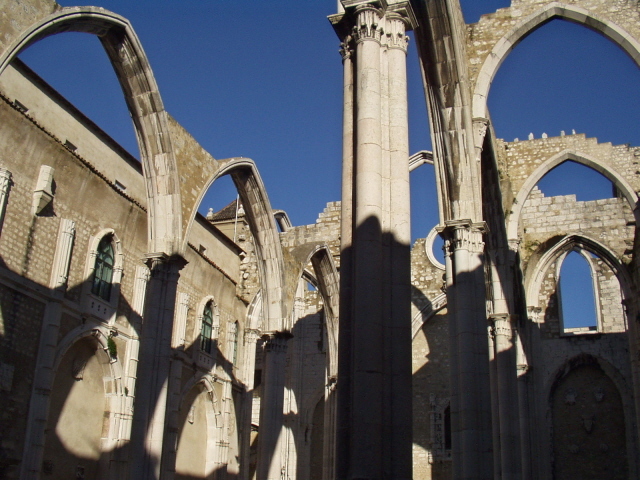 Although somewhat out of the usual time-frame for dark tourism (see the concept of dark tourism), the ruins of the church of the Igreja do Carmo, which mostly collapsed in the 1755 earthquake, are a sobering sight, and thus also an aptly dark site of sorts. The site now doubles up as an archaeological museum, featuring, amongst many other things, a model of the church before its destruction, various tombstones and even two mummies. Unfortunately, however, it means that these days an admission fee is charged, which you have to pay even if you only want to see the roofless ruins from the inside of the ex-church (3.50 EUR, some concessions apply; open Monday to Saturday 10 a.m. to 6 p.m./7 p.m. in summer). Location: near the mouth of the Tejo river (also known as Tagus in English), a few miles upriver from where the estuary meets the Atlantic Ocean, and mostly occupying the river's northern side; in south-western Portugal. Access and costs: easy to get to; still not as expensive as other European capital cities. Details: Unless you live in Spain, Portugal is rather far away from other European locations, so most people will get there by plane. 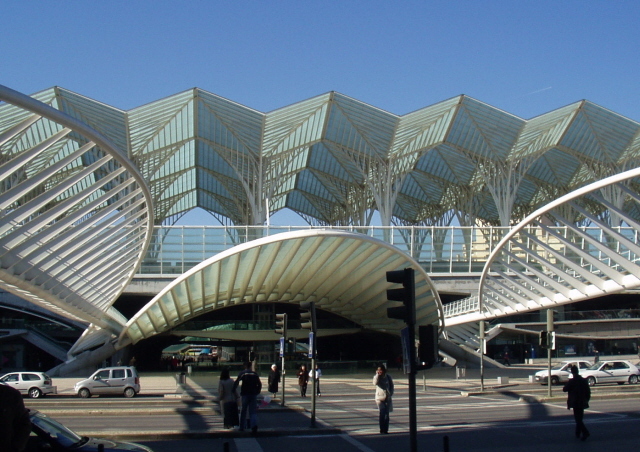 Various airlines, including Portugal's national carrier TAP, connect Lisbon to a wide range of destinations/departure points. In theory it is also possible to travel to Lisbon by train, but that is naturally quite a lot more time-consuming. The same goes for driving, and once in Lisbon, a car would rather be a hindrance than an asset. 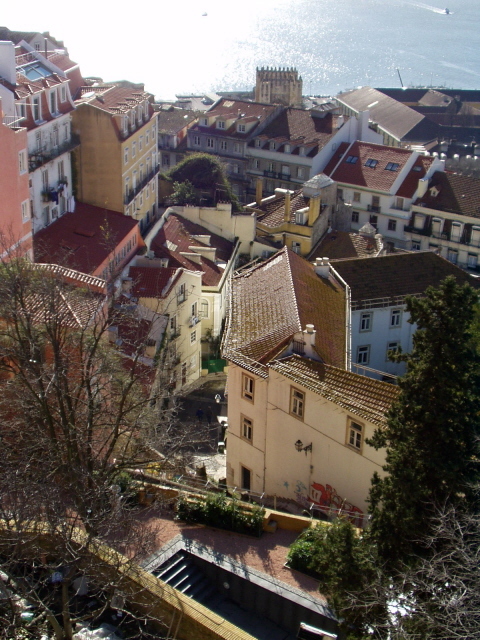 The core districts of Lisbon are pretty much walkable, although the funiculars and lifts that connect lower-lying parts of the city with the Bairro Alto are a welcome relief from climbing lots of steps, which exploring a hilly place like this naturally entails. The metro is more for connecting to the suburbs, used mainly by commuters. 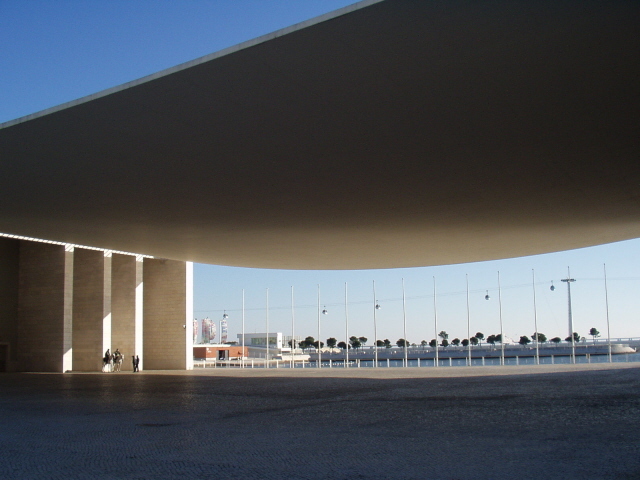 Although the "Oriente" line is useful for tourists too, since it goes all the way to the Expo '98 area/Parque das Nacoes. The cheap, efficient and safe metro of Lisbon had originally been more intended for connecting to the suburbs, i.e. to be used mainly by commuters. Now, however, the red line is eminently useful for tourists too, as it has recently been extended all the way to the airport (entering service in mid 2012). This makes the transfer to the city centre a breeze (and very cheap). The same line is also good for getting to the Expo '98 area/Parque das Nacoes. The ticket system is slightly confusing at first, but ultimately easy: you have to purchase an electronic card (50 Euro Cents, as such valid for a year) which you have to top up at the ticketing machines, either for a given number of journeys (uniform flat rate within the city limits) or for an all-day ticket allowing unlimited travel (at ca. 5 EUR quite good value). The latter is useful not only for the metro but is also valid for the elevadores, trams and many (but not all) buses. You need to use the electronic card readers on board, or, in the case of the metro, at the stations' entrance and exit barriers. Once you know how it works it's dead easy. 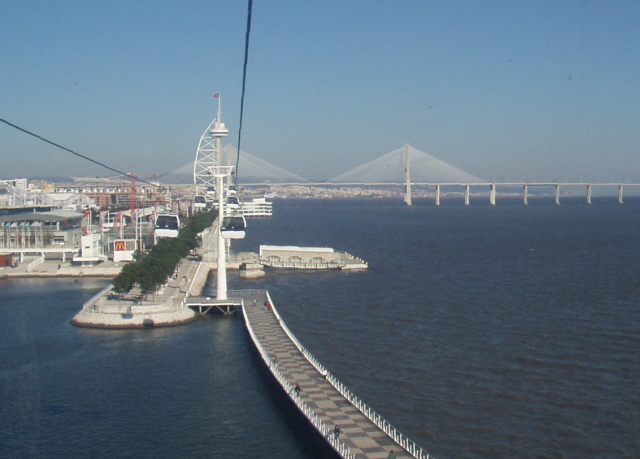 A particularly endearing way of getting around are the old-fashioned trams, called Electricos, including a very useful line (15) that goes along the Tejo all the way to Belem with its Explorers' Monument and Torre de Belem, passing the Ponte 25 de Abril en route. Line No. 28 is also popular as it famously connects most of Lisbon's tourist areas (even including access to the narrow and steep streets of the Alfama) and thus serves as kind of easy sightseeing city tour – only without the often annoying running commentary that those open-top sightseeing buses usually come with. Accommodation options range widely from cheap and cheerful pensions and hostels to upmarket hotels, which can be comparatively affordable all the same. 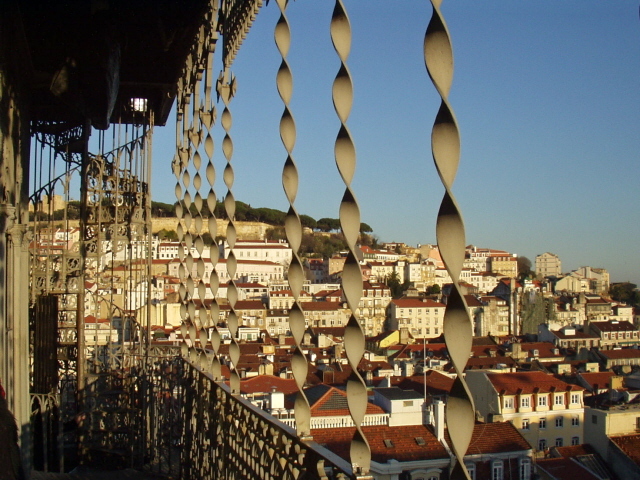 Lisbon prices still tend to be bit lower than in other Western European capitals. There are some real good value lower midrange options in very central locations. Some advance research can pay off significantly. Time required: While seeing just the (vaguely) dark sites of Lisbon won't take as much as a single day, the city as such deserves at least a long weekend, preferably four or five days. 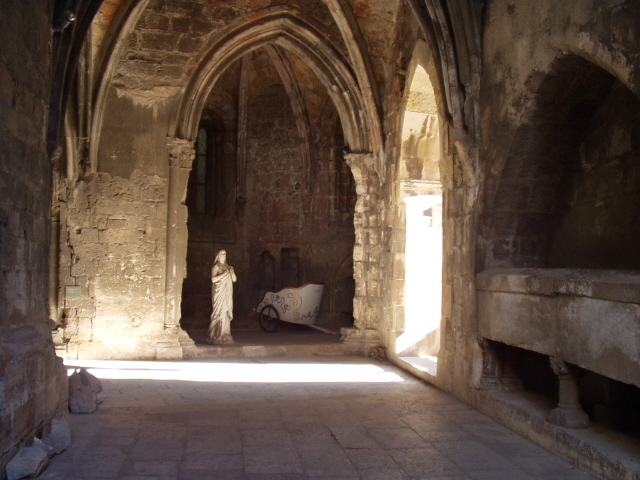 Combinations with other dark destinations: The Capela dos Ossos in Evora can be reached from Lisbon fairly easily, either by car (Evora is about 75 miles/120 km to the east just south of the main A6 / IP7 (E90) motorway) or by bus or train (ca. 2 hours). 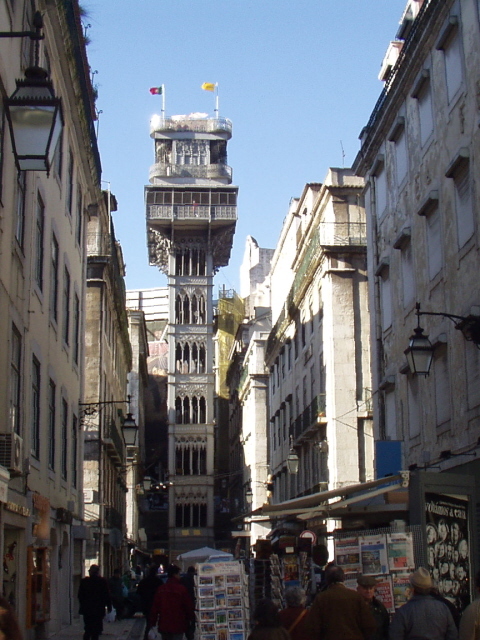 An extraordinary architectural/technological little marvel is the Elevador de Santa Justa, a richly decorated, neo-Gothic style, iron tower housing a lift (two actually) connecting the lower Baixa part of town with the Largo do Carmo in the hilltop Chaido district. 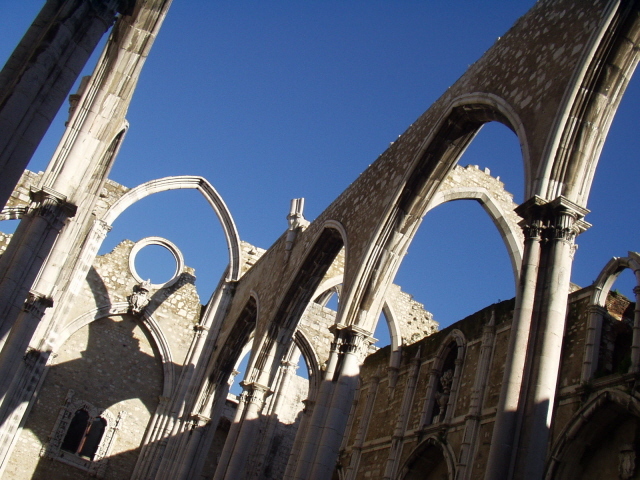 A horizontal walkway leads from the top level of the lift straight to the ruins of the Igreja do Carmo (see above). On top of the tower is an observation deck (unfortunately, the little cafe/bar that used to be up there has closed down), reached by a spiral staircase, for an additional fee. 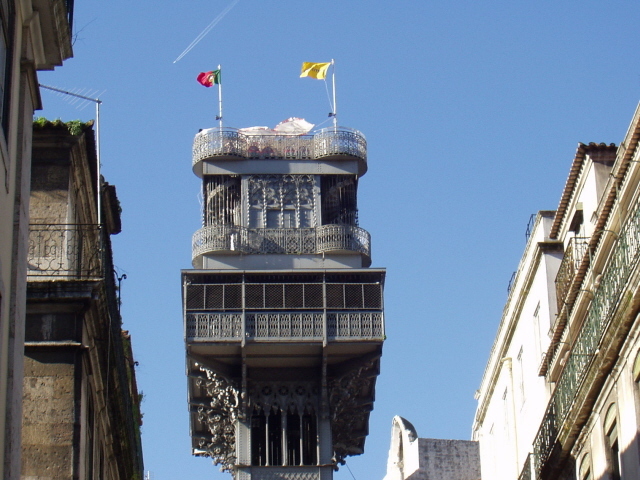 Even though it may afford good views of the city it's questionable whether this extra expense is really worth it, given that the view isn't that much inferior from the public space around the elevator doors or from various spots in the Bairro Alto/Chaido itself. 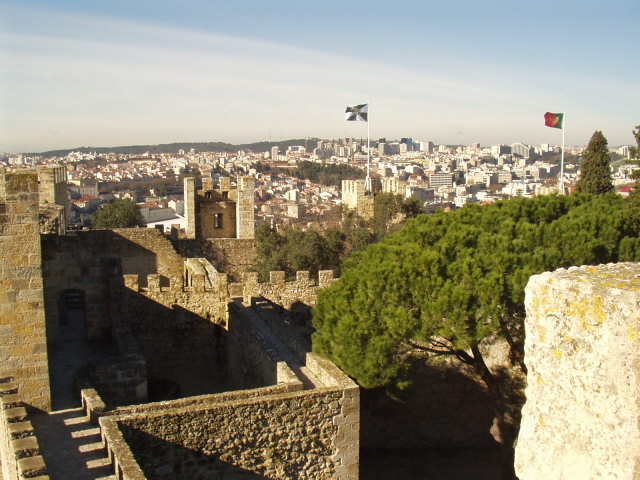 To the north-west of the Alfama and towering over the entire city centre is the Castelo de Sao Jorge, which really is worth the climb just for the views. Some of the restoration of the battlements was apparently done on the orders of dictator Salazar – but you wouldn't know that from just wandering about this peaceful spot and enjoying the views. Back at the bottom of the hill, at 34 Rua dos Bacalhoeiros ('cod fishermen street'!) is a tiny, wonderfully old-fashioned shop specializing exclusively in tinned fish. It's appropriately named Conserveira de Lisboa. Time stands still here – the shop was founded in 1930, and stepping inside is like time-travel back to those days. 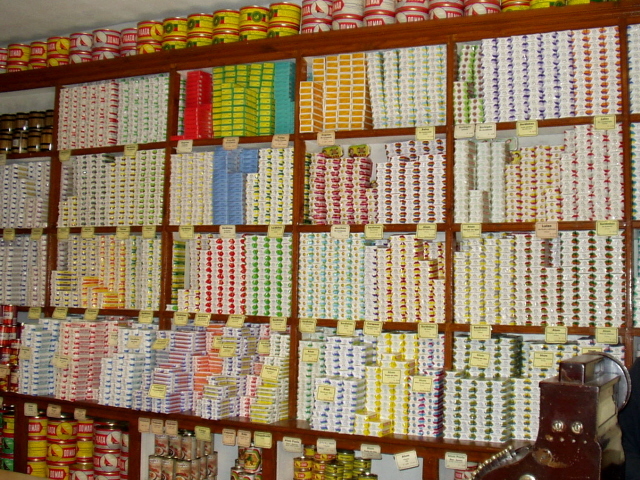 The tins of fish stacked high on the dark-wooden shelves are in retro paper wrappers, and purchases aren't put in plastic bags but wrapped neatly in brown paper and string, unhurriedly and reverentially. The choice of tinned fish is enormous – if you happen to like tinned sardines (like I do) then this is Mecca. They also have tuna, mackerel, squid, etc. 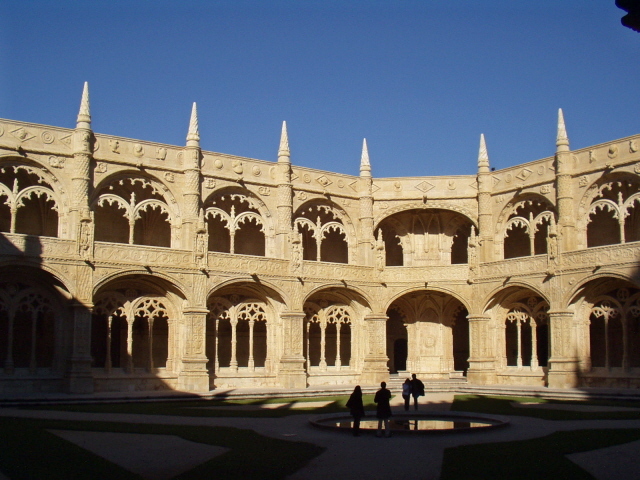 Out in Belem, the UNESCO world heritage site of the Mosteiro dos Jeronimos ('Monastery of the Hieronymites') does really stand out – for me the grandest of the many historical architectural gems in Lisbon. Mainstream cultural tourism at its very best. The OTT decorated facades especially on the portal and the cloisters are genuinely stunning. 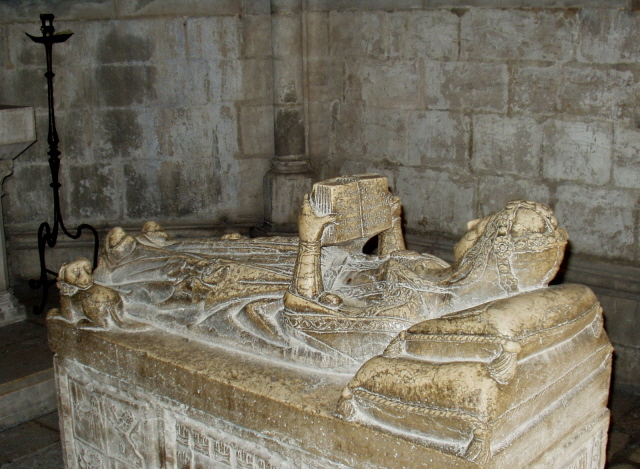 Historical gravitas is also added through the tomb of the great Portuguese explorer Vasco da Gama. 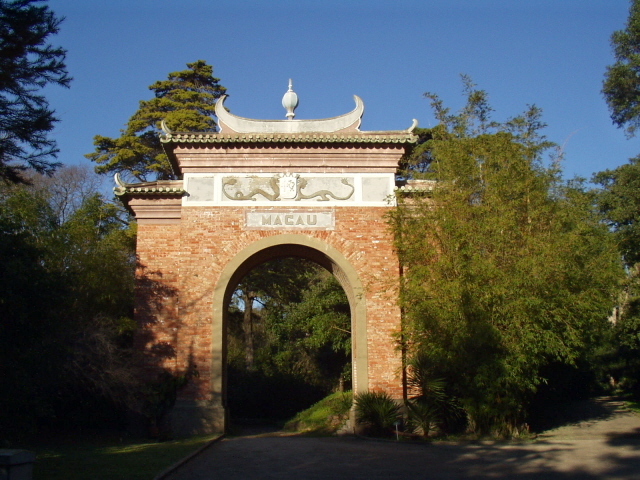 Next door the Jardim do Ultramar, tropical botanical gardens, offer some peaceful wandering about – and you can spot a replica of a pagoda and gate from Macao, as the most obvious link to Portugal's colonial heritage. Another touristy thing well worth doing when in Belem is to pop into the Casa Pasteis de Belem, a huge cavernous, labyrinthine cafe serving (amongst other things) the eponymous little Pastel de Belem (also "pastel de nata") pastries. Even if you're not normally a cake person, it's worth going just for the place itself and the atmosphere.